Roberts, A. C., photographer, Lake Benton, MN (1870s-1880s) image identified as "8 months past, Mable Mabel Ruth Frisbey"
Robinson, George, photographer, Park Falls, WI (1901-1904) Source: Price County Historical Society, Fifield, WI. Rockwood, Elihu R., photographer, 17 Union Sq, h 2336 Fourth Ave., New York, NY (1878); Elihu R. Rockwood, photographer, 2300 Third Ave., New York, NY (1879); Elihu R. Rockwood, photographer, h 2386 Second Ave., New York, NY (1882); Elihu R. Rockwood, photographer, h 163 E 114th, New York, NY (1884); Elihu R. Rockwood, photographer, h 2290 Fourth Ave., New York, NY (1888); Elihu R. Rockwood, photographer, h 64 E 120th, New York, NY (1889); Elihu R. Rockwood, photographer, h 2010 Lexington Ave., New York, NY (1892) City Directories. Elihu R. Rockwood, brother of George G. Rockwood. 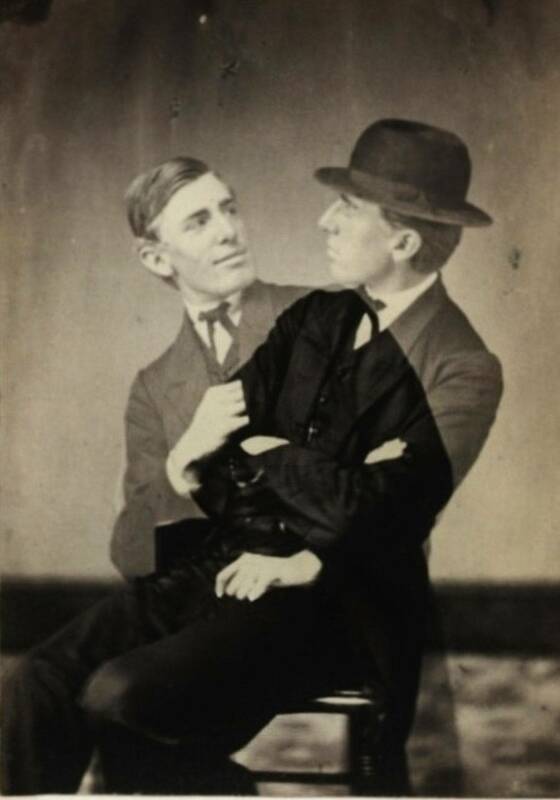 Rockwood, Warren A., photographer, h 336 Mott Ave., New York, NY. Rodgers & Mandeville, daguerreotype gallery, 72½ Chapel St., New Haven, CT (1849) “Citizens of New Haven and strangers in the city are respectfully invited to visit”. Rodgers, Joseph A., photographer, Burgettstown, PA (1880) See census. Joseph A. Rodgers born abt 1855 in OH marr Florida born 1858 in PA, chn Jesse b PA. Son of Thomas Rodgers b 1806 in IN. Mge cert of son Paul Harrison Rogers in Custer Co., MT has his father Joseph Adam Rodgers and mother Florida E. Brydges. Rogers, S. G., photographer, Washington, PA (1880s) "Additional copies at any time", cdv image; S. G. Rogers, photographer, Washington, PA (c. 1895) cabinet image identified as “Will Woods, Ohio"
Romedy, William, apprentice to photographer, Fairfield, SC (1870) See census. William Romedy born abt 1852 in SC. ROOT, M. A. & S.
ROSCH, J. A. & A. J.
Rosebrook, A. J., photographer, Lancaster, NH, Branch Studio, Whitefield, NH (1880s-1900s) "Portraiture in crayon, pastel & water color, Duplicates can be had at any time", *cabinet image; A. J. Rosebrook, photographer, Lancaster, NH (1890s-1900) cab image, jpg in Gallery. 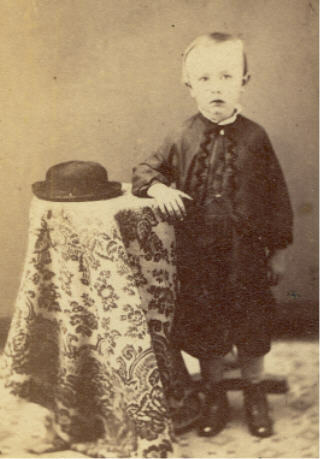 Amasa J. Rosebrook, son of Lee Rosebrook. 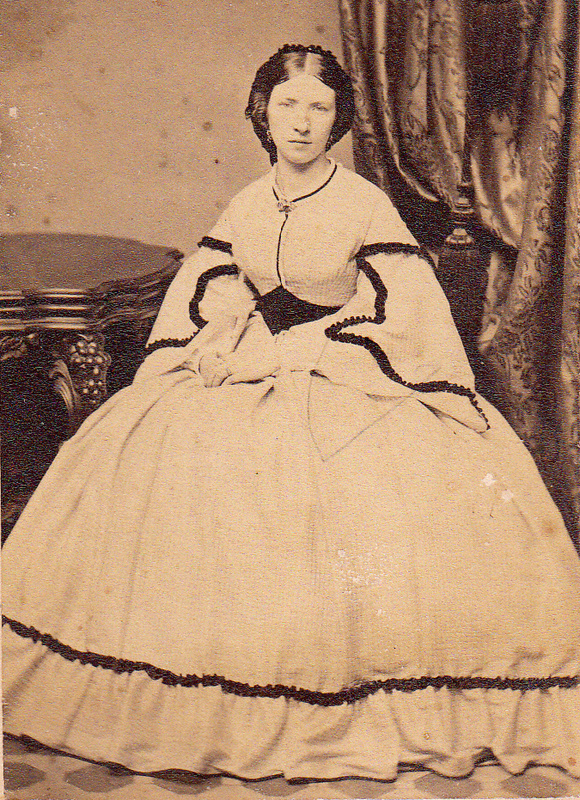 Amasa J. Rosebrook's wife was a photo retoucher when they married. Moved to Oregon, gave up photography business, to become a builder. ROSSITER, L. M. & T. E.
Rothengather, A., photographer, Chestnut St., Philadelphia, PA. A. Rothengather born about 1851 in Baden, Germany. See 1880 Census. Rothengather, Georgie, photographer, Chestnut St., Philadelphia, PA. Georgie Rothengather born about 1853 in New Jersey, wife of A. Rothengather. Their son is Arthur Rothengather. See 1880 Census. Ruddell, John B., photographer, Denton, TX (1900) See census. John B. Ruddell born Jun 1880 in TX, son of John L. Ruddell. Rue and Fox, photographer. (1870s-1880s) cdv image identified as "Miss Mary J. Gentry"
Ruggles, John F., photographer, Sutton, VT, 6 Dec 1864 5 Months, IRS Tax Lists; John F.
George Rupprecht, retired, 102 Philadelphia, Ave., Egg Harbor, NJ (1910) See census; George Rupprecht, photographer, own business, 3032 Fountain St., Philadelphia, PA (1920) See Census; Geo Rupprecht, h 3032 Fountain, Philadelphia, PA (1921) City Directory. George Rupprecht born Nov 1852 in Karlsruhe, Germany and died 19 Jun 1927 in Philadelphia, PA, buried Egg Harbor Cemetery. He emigrated 1871/72 and married 1894 to Pauline Braunback. Ryan, D. G., Artist, State Street, 1 dr W of Barnard Street, Savannah, GA (1867) Darrell & Co.'s Savannah City Directory; D. J. Ryan, photographer, 145 Congress, Savannah, GA (1870) Abram's Directory of the City of Savannah, see advertisement in photo gallery; Daniel J. Ryan, photographer, and of D. J. Ryan & Co., cor Whitaker and St. Julian, r 22 1/2 Abercorn, Savannah, GA (1871-1872) Haddock's Savannah, GA Directory and General Advertiser; D. J. Ryan & Co. (Daniel J. and Wm. Ryan, sr.), photographer's stock wholesale, 145 Congress, Savannah, GA (1871-1872) ) Haddock's Savannah, GA Directory and General Advertiser; D. J.
Ryder, F. J., Cleveland, OH (1890s-1910) cab image identified as ”Coz. Truman Handy Cleveland, OH - His Mother and mother's mother were sisters. His daughter is Mrs. Newberry of Detroit”.